Mini Burger Maker - What's Goin' On In The Kitchen? 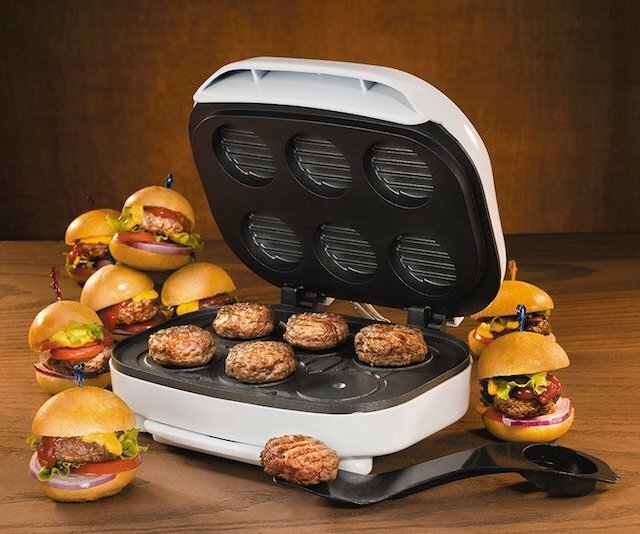 Make your own gourmet burgers at home with this awesome Mini Burger Maker. This countertop appliance is made with non-stick coated, die-cast aluminium grill plates that will make up to 6 perfect mini burgers within minutes. This machine comes with a slider forming tool spatula, and is perfect for traditional ground beef burgers, as well as ground chicken, pork, turkey and more. If you would like to see some of the other cool kitchen appliances I found look here.